Most pet owners are shocked to find out that many councils are simply disposing of traffic accident pets WITHOUT a simple scan to inform the owners. Imagine the heartache of someone searching for a pet which the council have not bothered to scan. A one minute scan can halt a lifetime of searching. What is 'Gizmo's Legacy' and why is it vital that councils scan pets they find? 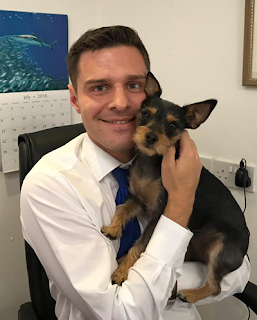 "Gizmo's Legacy is a government petition to get some real scanning legislation for pets so that what happened to me doesn't happen to other pet owners. It started after Gizmo was thrown away after being involved in a road traffic accident (rta) without her chip being checked. Sixteen years she was in my life but she was just classed as a piece of rubbish.". How long had you spent searching for Gizmo before finding out she had been found and disposed of without even being scanned? "We spent several weeks of searching and calling around until our worst fears were admitted. When we looked into the issue of what happens to pets found by the council it became very clear that there were no proper rules in place. Some councils act properly and some councils will scan dogs but not cats. Some councils have procedures but they are not followed or enforced." 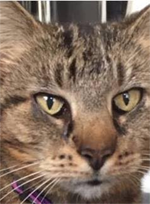 I set up the Facebook group Deceased Cats UK and IRL where anyone with a missing cat could come to one place and look to see if their cat had been involved in a RTA so they could get closure quickly. It was through this group we got word of cats being thrown in to the back of refuse trucks and caged vans owned by councils. I knew the only way to stop this was to start a government petition as trying to talk to councils was pointless. We now have hundreds of volunteers who as soon as the posts go on the group race out to beat the council to these little ones. They are scanned and if chipped they are reunited and if not chipped they are treated with dignity and taken to vets and we use photos to try and find the owners. just keep being thrown away.". How quick is it to scan a microchip? "The public have been led to believe that if we microchip our pets it’s our best chance of being reunited with them. Sadly as you can see from the Gizmo's Legacy petition that scanning microchips as mandatory is non existent and the loopholes continue to widen. “. "Scanning a pet for a microchip is not difficult, nor is it expensive. Each council simply needs a reliable microchip scanner and have an authorised login to the databases in order to be able to find the pet owner's contact details. It really is that quick and simple.". There is NOT a standardised policy for councils to follow! 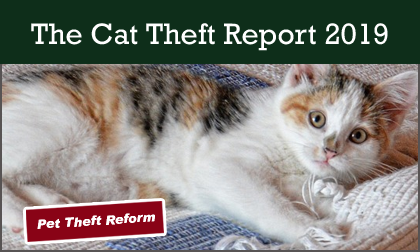 "Whilst some local councils have a policy of scanning cats who have become RTA victims, many do not. Currently there is no consistent approach across the UK, with councils or their contractors for road cleansing not even being required to hold microchip scanners as standard, let alone scan. Whilst the Highways Agency has been mandated to collect, scan and notify owners when a deceased pet has been picked up on a motorway or major road, no such obligation is in place to cover family cats who become victims on council controlled minor roads - and this is where the majority are killed. Making it a requirement for all UK councils to scan would ensure that owners could be saved the heartache of endless searching and wondering what happened. No much-loved family pet should ever just be thrown away!" Who else has this happened to? 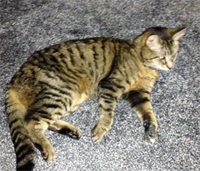 Some may know the story of Coco who was killed in an RTA last December on Dunmore Road, Abingdon, Oxfordshire. He was at the side of the road for 24 hours without the owners knowing. The owners heard via Facebook a deceased cat was on the path. They later heard the local council were called. After an extensive search having put up posters, calling vets, charities, registering him on Pets Reunited, the council and Biffa (contracted waste team) and having put up a sign asking for information at the point he was seen, the owners were still at a loss as to where he was. 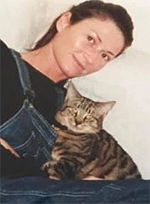 Owner Sarah Brown explains "We spoke to Biffa four times on the day he was taken and I felt I was being more of a hindrance than receiving any support. Each time they had no news. A week after he went missing we received a reply on Facebook that someone saw a Biffa lorry collect the cat and put it in a blue bag. Without this message we would never have known. My husband went to the office immediately with this information. We waited for the manager's reply but didn't hear for hours later, so I called the council complaints office. Finally we had an answer. They had collected him. The driver put the bag to one side at the depot and got distracted, someone else then put all of them out for incineration. 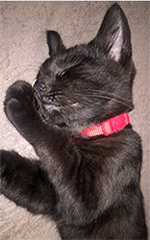 Because of Biffa Waste, we did not get to bring Coco home to be cremated as we would have, but due to their incompetence they did not scan for his microchip and put him out to be incinerated on the same day when collecting wildlife involved in RTAs.". Currently there is no scanning legislation! “If a cat or dog loses their life in a road traffic accident, councils can simply throw the body away. Scanning deceased cats and dogs for microchips is not compulsory, which means families across the country will never be reunited with their missing pets. This is wrong. It should be compulsory for cats and dogs to be scanned by authorities. If you agree, please add your signature to the Gizmos Legacy petition, and please share widely with friends and family.” Dr. Daniel Allen. Is Gizmos Legacy also important to DOG owners? #GizmosLegacy is important to dog owners because currently there is no requirement for councils (or vets) to scan any deceased pets for microchips. The exact same thing has happened to dog owners. There have been several incidents where dog owners have spent thousands of pounds and hundreds of hours searching for a missing dog - only to find that someone from the council sees a 'missing' poster and remembers disposing of a dog matching the description, without even checking for a microchip. The current system is a muddle with no structured procedure or policy standardised in place. Pets are family members and it is an outrage that cats and dogs are being tossed away without any concern for a distraught owner. Pet owners pay council tax and the very least they should expect is a council having a scanner and a few moments to scan a pet. Heléna Abrahams has celebrity backing for her petition from Emmerdale actresses Samantha Giles and Katherine Dow Blyton. She has also appeared on the television show Do the Right Thing. Please sign now and encourage everyone you know to sign. Now it is compulsory to have our pets microchipped, So Why is it not compulsory for deceased cats and dogs to be scanned for their chips by the authorities. Do the right thing and make it law! so that we the pet owners will have more chance of finding our missing pets one way or another. All the fuss that was made about making sure our pets are chipped.We did the right thing so why can't you !!!!!!!!! !